I have long held a fascination with the life and times of Sir Arthur Conan Doyle; not, however, his detective writing, nor the subsequent debunking of the many psychic charlatans that courted him, but more his inimitable style in documenting sensational tales of hauntings, and the rather odd relationship he had with women, in particular his mother, Mary Doyle, a preeminent force in Conan Doyle’s life. In 1927, several newspapers ran articles on a tale that was eventually to become one of the many compiled in his last published work, The Edge of the Unknown. It is a particularly curious tale, and, I must say, one that always tends to send a slight shiver down my spine; though I am at odds to explain why – whether it is the strangeness of the medium’s gender mutation or the ghost’s mother-fixation so curiously reminiscent of Doyle’s own life, I can’t quite say. 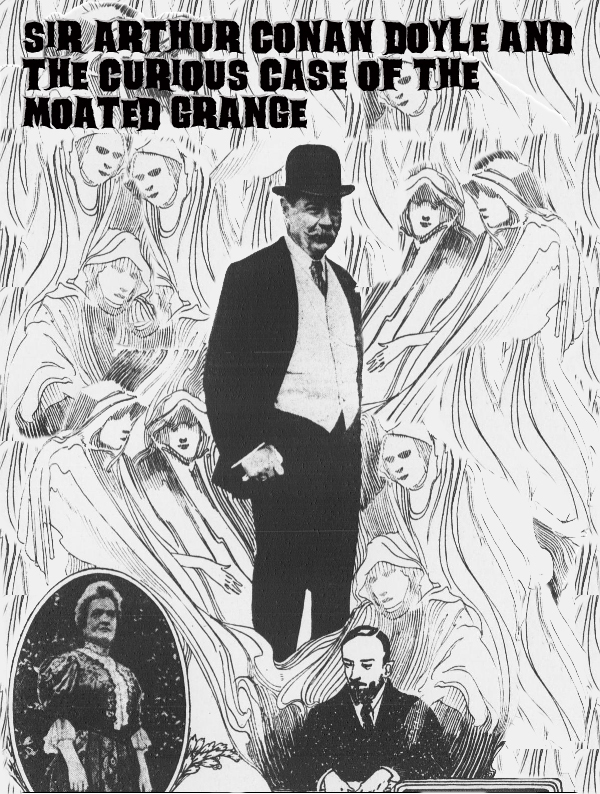 What must be the most amazing document from the pen of Sir Arthur Conan Doyle describes how a woman medium changed her personality in an instant to that of a ghostly ostler, a spirit inhabitant of a moated grange in Sussex. The medium was Mrs. Wickland, the wife of Dr. Carl Wickland, a noted psychic investigator. Sir Arthur proceeds to give a full account of the dialogue in which the old man stated how he was an ostler at the grange, and was pushed into the moat by a fellow employee whom he dragged in also. “No, no, I want to go to mother. Oh you good kind people”–the rest was just incoherent gratitude. And so it was that the earth-bound ostler found his mother at last among the rambler roses of my balcony. Have I not said truly that the actual experiences of the Spiritualist, of which this is one in a hundred, are stranger far than what I should dare to invent? Is it all a fairy-tale? How about the change in the medium? How about the ostler’s dress so accurately described? How about the cases where the actual names and addresses have been verified by the Wicklands? It is not a fairy-tale, but it is a new realm of knowledge which the human race has now to explore and to conquer.